The Indian Oil Corporation (IOC) will send its team led by its executive director to Nepal for the survey of 41-km long cross-border pipeline next week. After completion of the survey, the team will submit its report to the Project Monitoring Committee led by Uttam Nagila, joint secretary at the Ministry of Supplies. The monitoring committee has been set up as a single window mechanism to facilitate project implementation. After conducting the survey, IOC, which is the implementing agency for Amlekhganj-Raxaul Petroleum Pipeline Project, will call for a bid for the construction of pipeline and expansion of Amlekhganj Depot on Nepal side. Though an agreement between the two countries was signed on August 24 for early construction of the pipeline, the project was stalled for long due to disruptions in supply lines from India owing to tensions along the border points. As the supply from India returned to normalcy after the four-month long border blockade ended in February, the recently held talks between Nepal Oil Corporation (NOC) and IOC decided to construct the pipeline project as soon as possible. 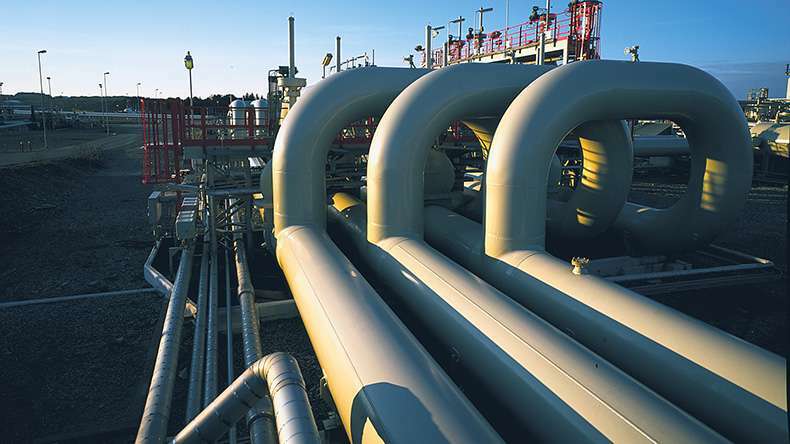 The cross-border pipeline project, which also includes re-engineering of Amlekhganj Depot, is going to be constructed at a total cost of INR 2.75 billion within 30 months of beginning the construction works. After that, it would be the lifeline for importing petroleum products from India. The proposed pipeline is expected to save Rs 700 million per annum in transporting fuel from Raxaul to Amlekhganj. Subsequently, it will save travel time for tankers, not to mention minimise pilferages. On the other hand, construction of the pipeline will no longer require tankers to transport fuel across the border, which in turn is also expected to ease congestion at Raxaul-Birgunj customs point and smoothen the import of other goods through India. IOC’s Raxaul Depot caters to 60 per cent of the petroleum products imported into the country. During the recent meeting led by secretary of Ministry of Supplies and NOC Chairman Shreedhar Sapkota and IOC Chairman B Ashok, both sides agreed to work towards early construction of pipeline and increase the supply of liquefied petroleum gas (LPG) to address the prolonged crisis of cooking fuel in Nepal, as per NOC Spokesperson Mukunda Prasad Ghimire. “Once the IOC team submits its survey report, the Project Monitoring Committee should clear all the issues, like acquisition of land and right of the way, for the pipeline to accelerate the project construction,” Ghimire explained. As per the preliminary estimates, the pipeline will be laid along the Raxaul-Amlekhganj road. Apart from this, the government needs to acquire 30 hectares of land near Amlekhganj Depot for its expansion. Out of the 41-km pipeline, about 39 km would lie in Nepal. During the recent meeting, IOC also agreed to provide additional 10,000 tons of cooking gas to Nepal to address the prolonged shortage caused by disruptions in supply lines. The additional cooking fuel will be provided from Paradeep of Odisha State, which is nearly 1,100 km far from Birgunj. “This will be a one-time supply to meet the current demand,” said Ghimire. Currently, three refineries of IOC are providing regular supply of LPG — 11,000 tons per month from Haldia, 10,000 tons per month from Barauni and 6,000 tons per month from Karnal.